The causes of the scramble have aroused the sharpest controversies when considered in the light of West Africa. 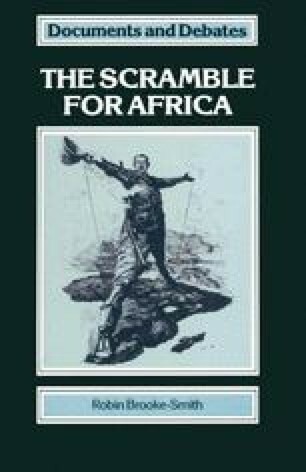 Between the Select Committee Report of 1868 suggesting a withdrawal from West Africa on the one hand, and the eventual massive extension of British colonial control on the other, what forces were at work to cause such a shift? Was Britain reacting to the expansionist policies of others? Was the prime motive even in West Africa strategic, as suggested by Robinson and Gallagher in their important book, Africa and the Victorians? How powerful were the commercial lobbies of Manchester, Liverpool, London, etc? Did the government really want to acquire possessions in West Africa or was this an expedient forced on it by a combination of outside pressures?